1. Tank Automatic Jumbo in yellow gold (28 x 35 mm). This is the oversized Tank LC with the bubble back. 2. CPCP Tank Americaine in platinum. 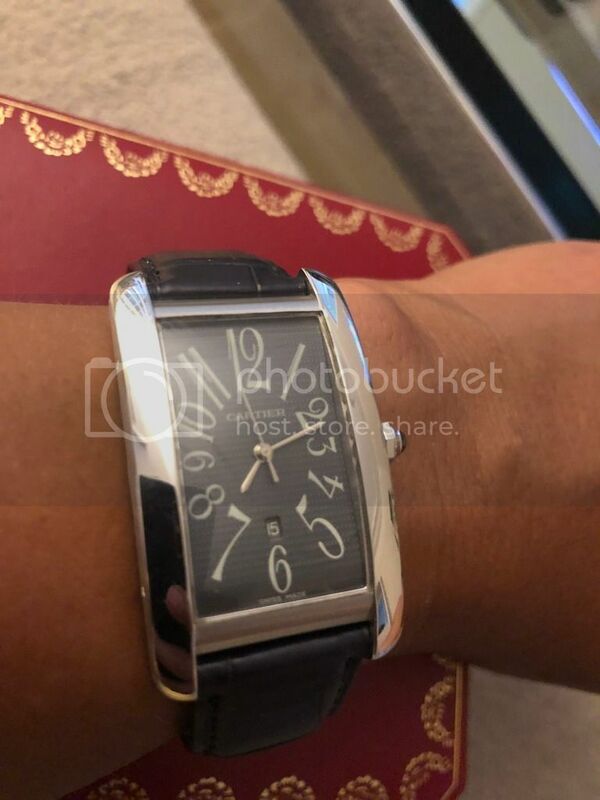 I'm sure everyone here is familiar with this watch...the one that's featured on this subforum's main page. I like the Tank LC jumbo automatic because it's an ideal size for me (in my opinion), and I like the simple dial. This particular size seems to be very rare among the Tank LC collection. My only issue with this watch is that the ETA movement can be loud. 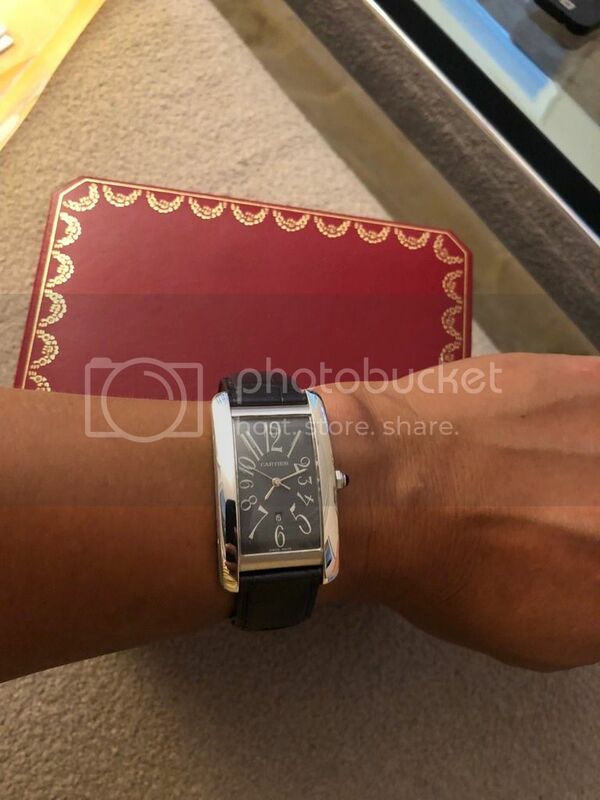 Another pro for this watch is that it's less expensive than the platinum Tank Americaine. I've always loved the Tank Americaine, especially the version I'm considering. My only concern with this watch is that it might be too large for my wrist (6.5"). Pros for me are that it's from the CPCP collection, it's platinum so more understated, and the movement. What are your thoughts? Which one do you think would be more versatile? Which do you think is more collectible? I think I've found fair prices for both of them, but what do you think is a good price for either of the watches? I would gladly opt for either of them as they're both desirable models. I try not to think in terms of collectibility, although it's nice to end up with something that would stand the test of changing tastes and be worth more in the long run. I think if you can try them on and decide which one puts a bigger smile on your face, that is the way to go. Both are nice watches. The Tank LC is a classic design, and it is one of their most iconic models. Still, I tend to think of this watch as being a manual wind not an automatic. The Tank Americaine, if it fits you would be my choice. I love the details of the CPCP watches, and IMHO the CPCP version without a date is the cleanest and nicest version of the Tank Americaine. In addition, it uses a finer movement (not starting life as an ETA eabouche), and the Platinum is understated, has a nice weighty feel on the wrist, it's much rarer, platinum is harder to mine and harder work with than gold, and is more rugged/durable than gold (not that either of them are sports watches). White gold with a very interesting greyish blue dial. 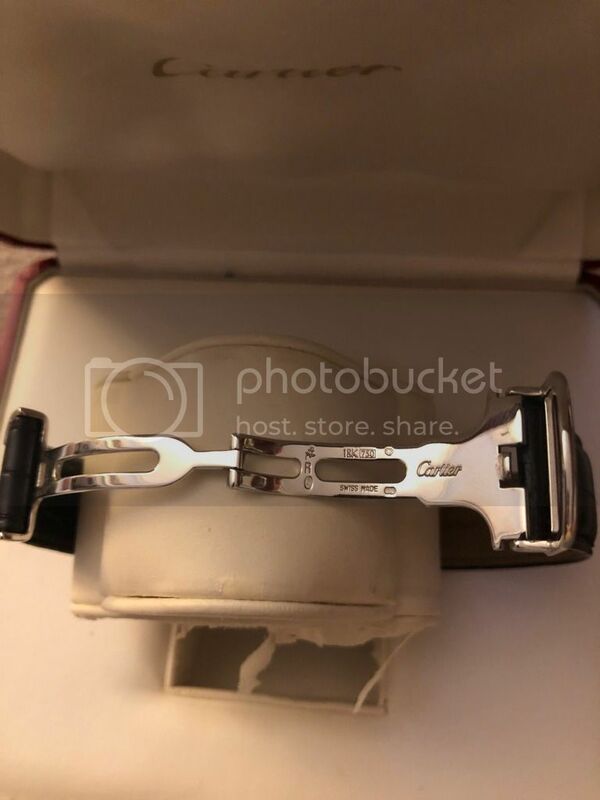 Extremely comfortable deployant buckle in white gold.